Noam Chomsky extends support to Narmada Valley as Medha Patkar's indefinite fast continues. New Delhi: Renowned American historian and philosopher Noam Chomsky has come out in support of the Narmada Valley's project affected people (PAP), the Narmada Bachao Andolan has said in a statement. 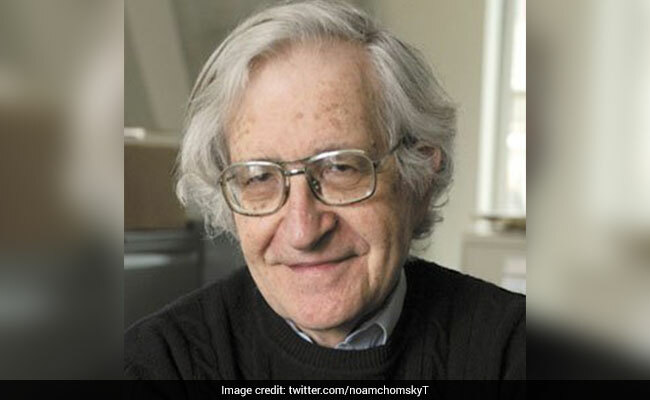 Mr Chomsky has endorsed an online petition seeking Prime Minister Narendra Modi's intervention in ensuring justice for those "threatened" by submergence due to the Sardar Sarovar dam in Madhya Pradesh, said the Andolan, a social movement against large dams on Narmada river. The petition was started by former IIM-Kolkata professor and environmentalist Jayanta Bandyopadhyay. It stresses that meeting the "rightful demands" of the people is essential to ensuring the faith of people in "non-violent, democratic and constitutional governance and struggle" for their rights. "I, on behalf of the people of Narmada Valley, now appeal to you (Modi) for immediate attention and intervention to save the people threatened by submergence," the petition says. Mr Chomsky has signed the petition at a time when social activist Medha Patkar and 12 PAP are on an indefinite fast in Chikkalda village of Madhya Pradesh against the "forced displacement" of project affected people, the Andolan said in the statement issued recently. "People are on fast against the forced displacement and demanding just rehabilitation...the claimed rehabilitation sites are far from habitable, with even basic amenities like drinking water missing," it said. According to the petition, a Supreme Court order (dated February 8, 2017) clearly states resettlement and rehabilitation of the project affected families be completed in all respects before any forcible displacement of these villages is directed. "Closing of the gates (of the Sarovar) is de facto a method of forcible eviction and thus, not only a barbaric act but also a disrespect of the court order," the petition says. It also demands a comprehensive resurvey of PAP, giving priority to rehabilitation first by following orders of the top court so that no family is evicted without rehabilitation. The petitioner has also urged PM Modi to ensure that the state government is directed to provide benefits to affected farmers as per the Supreme Court order to ensure alternative livelihood for them. The government should also constitute a committee to assess the impact on environment, river and forests by submergence, it said.